Clients and realtors will love your professional, easy to read reports. 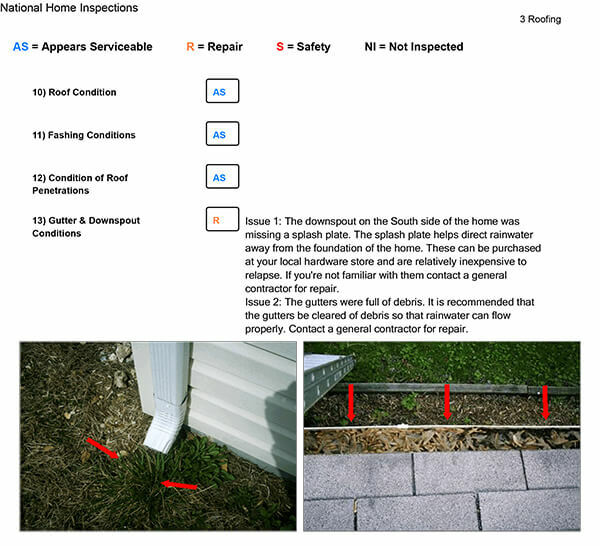 Click the home inspection report sample below to see an example. Condition indicators are color coded dropdown boxes that correspond with the items condition. A key at the top of each page lists the abbreviations with their corresponding condition and color. For example a blue “AS” might stand for Appears Serviceable or a red “S” might stand for Safety Issue. You can customize the condition indicators under settings. This is our most popular style of report since it’s easy to read. Clients can quickly scan through the report to find problem areas. These types of reports generally contain much less verbiage and are usually much simpler reports. If you’re looking for a report with many legal disclaimers, then the narrative report might better fit you style of reporting. 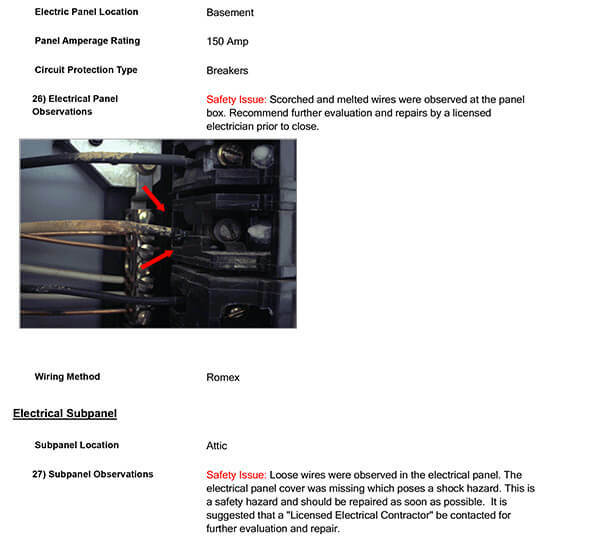 Click the report image above to see the sample PDF report. Narrative style reports are text based reports that don’t have condition dropdown boxes or keys at the top of each page. The narrative style template is perfect for inspectors who like more verbiage in their reports as opposed to colored indicators. Narrative reports tend to be more lengthy but usually contain more disclaimers. When choosing which home inspection report sample fits your business needs, it’s important to find the right balance between easy to read and informative. You can also customize your reports to include a combination of both narrative style and condition indicator style. Click the report image above to see a sample of the narrative style report.